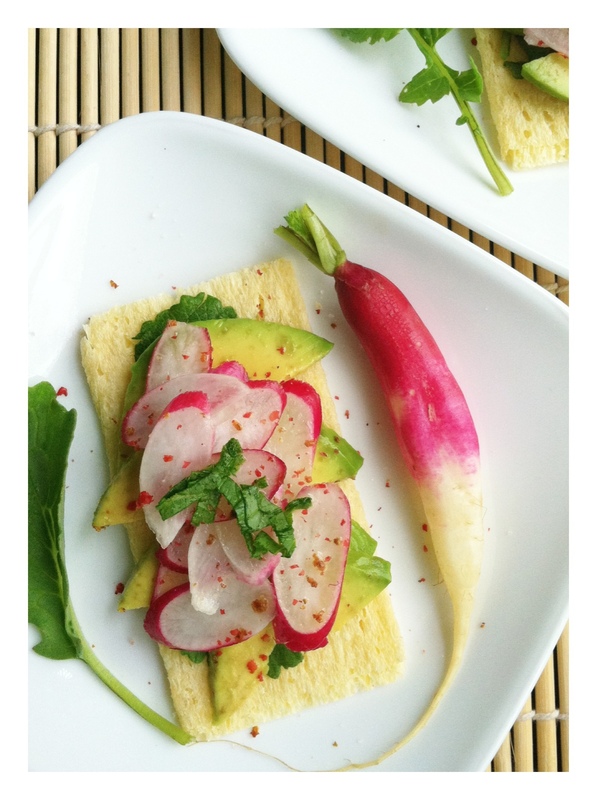 Radish & Avocado on Toast. | Eat More Plants. A favorite snack of mine is avocado on toast. 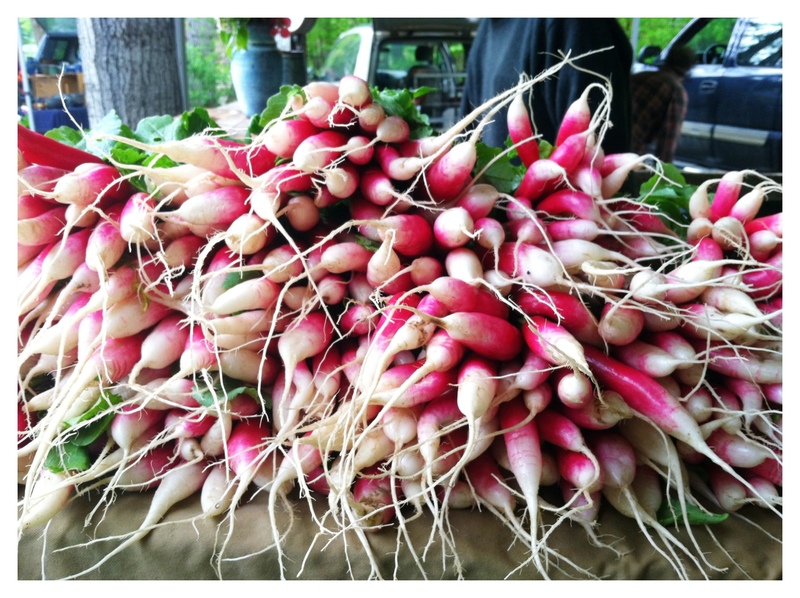 I bought these beautiful local radishes today and added them for a nice crunch. Salt & pepper (I used pink peppercorns) is really all you need to add. Perfection! One of my goals since moving to Vermont was to become as self-sustaining as possible. We’ve come pretty far in the past few years and I’m proud of the progress. We don’t rely on oil, electric or propane for heat or hot water which was a big step. We’re also going to convert a lot of things to solar power slowly but surely. It’s tough, especially living outside of town, to get these things done on our own but with time and hard work we will persevere. A big part of becoming self-sustaining is our food. I hope to produce enough from my farm this year to be able to can and freeze things. I aim on having to spend as little as possible at the grocery store and keeping what I do need to buy as local as I can. We have enough hens to provide ourselves with eggs everyday as well as giving to our neighbors and friends. I haven’t had eggs since going vegan over six months ago but I think I will bring them back into my diet eventually. A friend pointed out to me that it was kind of funny that I didn’t eat my own hens eggs anymore…I realized it did sound kind of silly when I said it out loud. I didn’t cross over to being vegan with the intentions of doing it strictly forever. I wanted to use the basis of veganism for a guide on shaping and enforcing my beliefs. I did it mainly for my love of supporting local, humane farming and animal rights. I learned a lot about plant based living and I am very grateful to the people that inspired me and gave me amazing recipes. I don’t ever see myself eating dairy or meat or seafood again. I will consider eating eggs if I can figure out what it could replace, nutritionally speaking, from what I’m eating now. 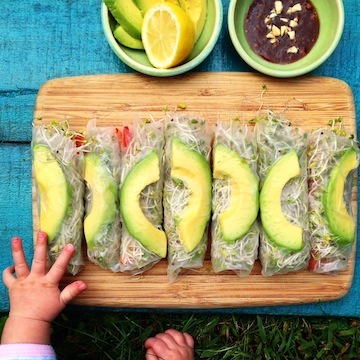 I’ll have to do some research on that…there’s nothing better than being able to feed yourself from your own backyard! I planted a ton of beets, radishes, carrots and spinach the past few days. All things that will keep well in the fridge! I freeze spinach to use for smoothies because I know it doesn’t have a long life in the fridge. I’m hoping to be able to grow potatoes this season as well. Potatoes are a great source of vitamin c & b6, potassium, manganese and when stored properly they can last a long time. I’m going to plant corn, tomatoes, zucchini, cucumber, eggplant, swiss chard and all my herbs in the next week or so. My blueberry, raspberry & blackberry bushes should be arriving soon and that will be another great project…I can’t wait! …and possibly cherry trees next year. I was thinking about it this year but didn’t want to overwhelm myself. I have a place designated for them but I’m trying to decide which kind of fruit tree we can reap the most benefits from. I added inversions to my yoga practice last year and I am completely addicted. It is truly liberating. There’s nothing like spending time upside-down! Sauerkraut on anything & everything. What a wonderful post and I am so amazed to hear how you are living! That is truly a dream. Love your blog!